A camera video monitor is used to view either the field of vision being captured by one camera or by a series of cameras in a digital video security system. Digital video camera monitors have made great strides in technological improvements in the last several years producing a higher quality, lighter, and more adaptive piece of digital video security system equipment. It’s important to understand a little about the history of camera video monitors in security camera systems and how they used to work compared to how they work today. Let’s take a closer look at a camera video monitor. First, we should identify the three main components of a video security system. That includes one to several video cameras, a video recorder, and at least one camera video monitor. Note that the word “digital” did not appear in the previous two sentences because we are referring to the older analog video security camera systems. The older analog video camera systems consisted of analog video cameras which were basically miniature version of cameras used in an average television studio. However, since television cameras “broadcasted” their signal to the general public, security video cameras were often (and still maybe today) referred to as Closed Circuit Television or CCTV. The circuit is closed because the security system camera sends its signal to the video recorder and monitor, a closed circuit, rather than broadcasting it for unrestricted access. The recorders used in these older analog systems were usually analog video tape recorders such as a VHS or BETA recorder and the monitors were basically miniature televisions. In contrast we use digital video security cameras, Digital Video Recorders or DVRs and high resolution camera video monitors with LCD, Plasma, or LED displays today. The older “tube” type television camera video monitor and the analog video camera, worked with video in terms of “lines of resolution.” Without getting overly technical, the quality of these displays was much lower than today’s typical Plasma, LCD, or LED camera video monitor since the tube projected the image in alternating “lines.” Today the image is made up of pixels, extremely small dots or squares that can provide a much greater (or finer) resolution, and therefore a much higher quality display image. Often times, older analog cameras would require an individual camera video monitor for each camera. Today however, depending on the size and resolution of the display, all of the cameras within a system can be displayed on one monitor. In fact, the digital video security systems used today do not require a camera video monitor to operate. A monitor is used to set the system up initially, but may be removed after the initial settings have been made. Yet, the monitor is still the component with the highest use since it is used to view live or recorded video in one way or another. Of the three types of camera video monitors used today, the LCD is the most prevalent. Since video security systems have become digital, they have gained access to many of the technological improvements of personal computers. Therefore, monitors that are currently used for personal computing may also be used for digital video security systems with one provision; the monitor must have the capability to display using the output connectors for the system. Personal computer monitors typically have VGA (Video Graphics Array), DVI (Digital Video Interface), or HDMI (High Definition Multimedia Interface) connectors for video input. Security digital video cameras however still utilize RG-59 coaxial cable with a BNC (Bayonet Neill-Concelman) connector. Most computer display monitors do not have BNC inputs; most security camera video monitors DO have BNC inputs. This is important because if you choose to place a monitor on a single or specific camera, chances are it will need a BNC input connector. While most DVRs have BNC connectors for the camera inputs, they usually have several different output types to the monitor (VGA, DVI, and HDMI for example). When you purchase a camera video monitor for your security system, just make sure the outputs of the cameras and/or DVR matches the input connections of the monitor. 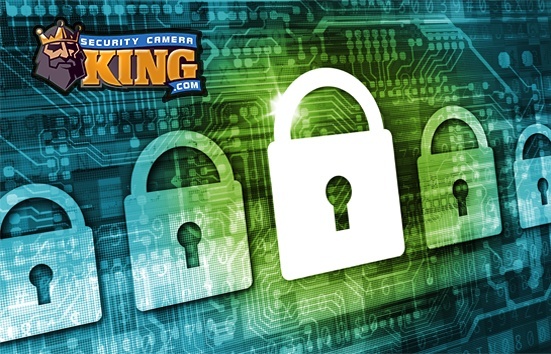 Security Camera King offers a wide variety of camera video monitors available for purchase. What’s more is that we also have BNC to VGA Monitor Converters available which allows you to view your video security camera with a BNC connector on a VGA monitor. In addition we also have monitor mounts available. For more information, talk to one of our security experts.